An undisclosed injury has forced Thiago Tavares out of the lightweight battle, allowing Michael Johnson the opportunity to serve as a substitute on May 5th. Tavares initially replace Dennis Hallman. Ferguson has rattled off two straight wins inside the Octagon since taking “The Ultimate Fighter 13″ tournament. He was last seen in December posting a decision victory over Yves Edwards. Johnson defeated Shane Roller in his last outing in January. 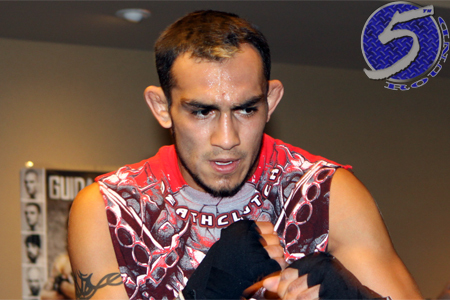 “The Menace” has alternated between wins and losses over his past five fights. The event takes place inside IZOD Center in East Rutherford, New Jersey. A lightweight affair between Nate Diaz and Jim Miller will headline the festivities. FOX broadcasts the main card live at 8PM ET/5PM PT.